No one thought there would be waves in China. That is not the case, as surfers discovered during the ISA China Cup that concluded yesterday after three days of perfect surf. Day 1 of the inaugural Hainan Classic, an Association of Surfing Professionals (ASP) 4-Star event produced by the ISA as the second event in its Hainan Wanning Riyue Bay International Surfing Festival Presented by Quiksilver, has been a clear testament to the fact that any preconceptions about what the country couldn’t or wouldn’t offer as far as waves were entirely incorrect. Experience certainly played a role on Day 1, with the three top scores going to surfers who competed in the first event of the Surfing Festival. 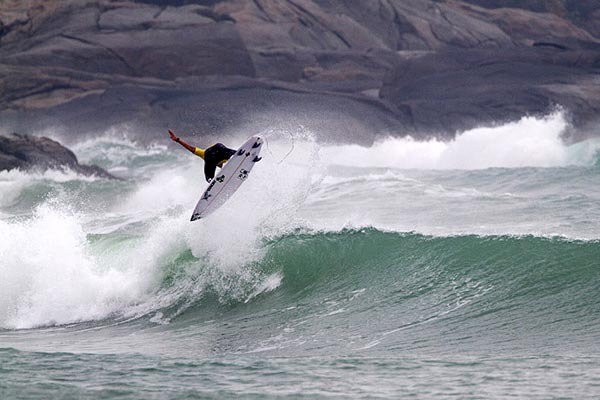 Messias Felix (BRA) and Marc Lacomare (FRA) have both had more than a week to familiarize themselves with the different sections of the wave, and both put that knowledge to use, being among the few surfers to effectively execute aerials. With 12 of the 16 heats run of the Round of 64, Day 2 will begin with the remaining heats, followed immediately by Round of 36 competition. Competition resumes at 8:00am local time (4:00pm PST – 7:00pm EST). Watch it online on www.hainaninternationalsurfingfestival.com/hainan-classic/live. Following completion of the action tomorrow afternoon, the complete video footage of the day’s events will be replayed at hainaninternationalsurfingfestival.com/hainan-classic/live.